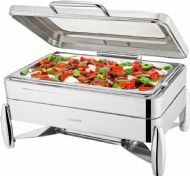 Super Luxury, Highly Polished Stainless Steel Electric Roll Top Chafer, Chafing Set. 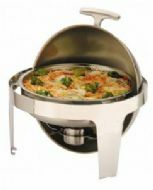 13.5 litre capacity. 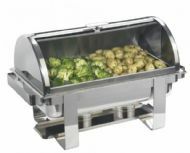 Super Luxury, Highly Polished Stainless Steel Electric Roll Top Chafer, Chafing Set. 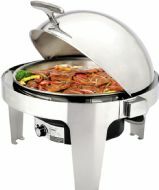 8.5 litre capacity. 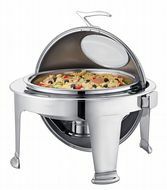 NOW IN STOCK Stylish 6.8ltr Electric Chafer Chafing Set with a see through Glass Lid. 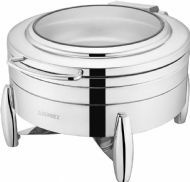 Super Luxury, Highly Polished Stainless Steel Round Roll Top Chafer, Chafing Set. 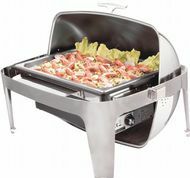 6.8 ltr capacity.